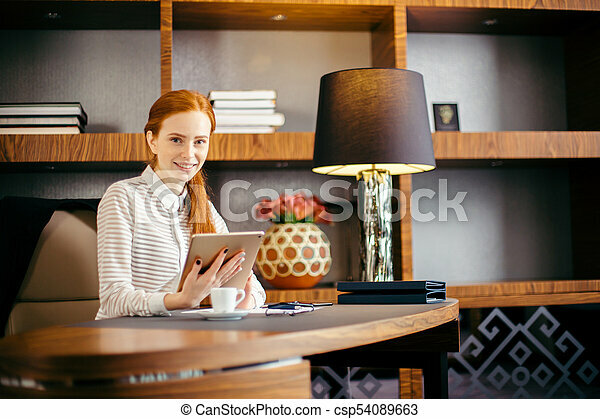 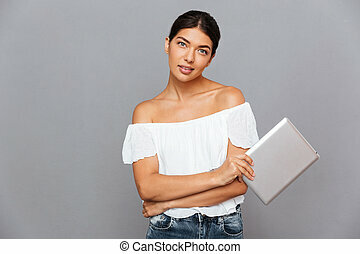 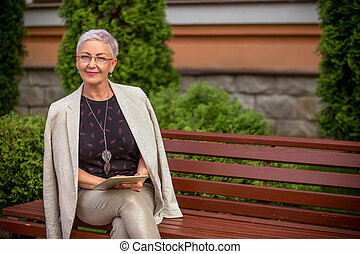 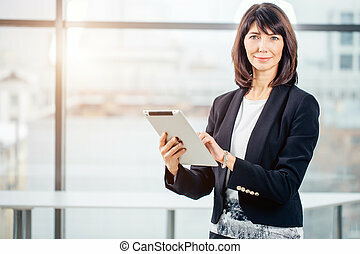 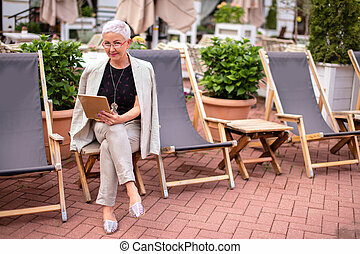 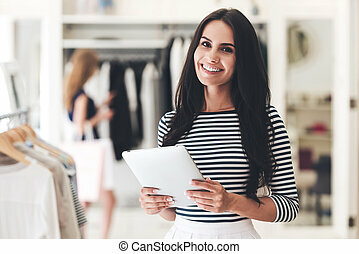 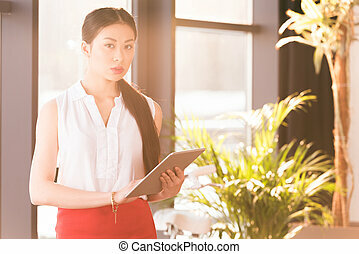 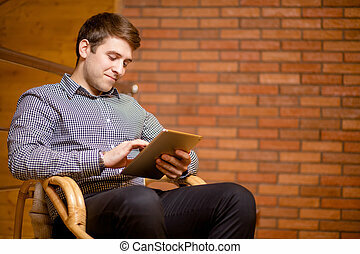 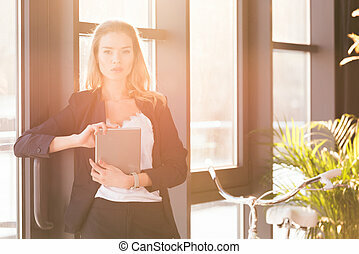 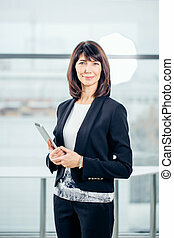 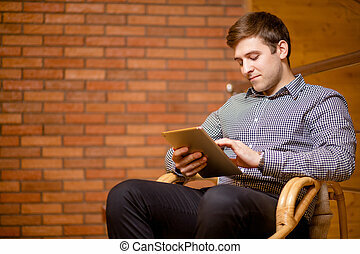 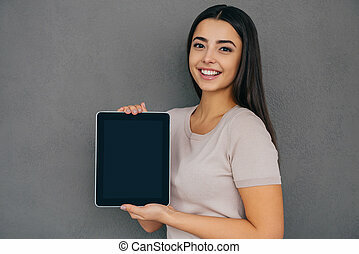 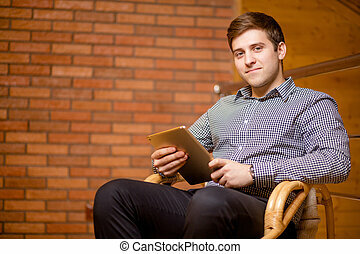 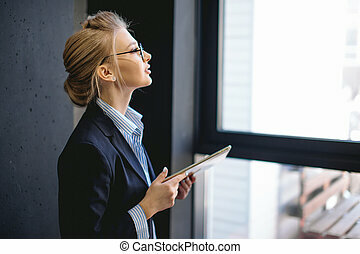 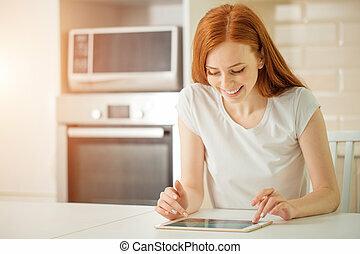 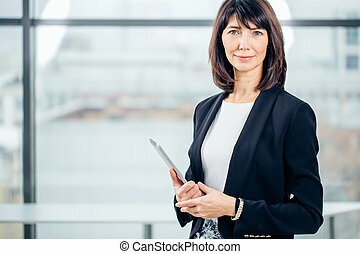 Beautiful young woman holding digital tablet and looking at camera with smile. 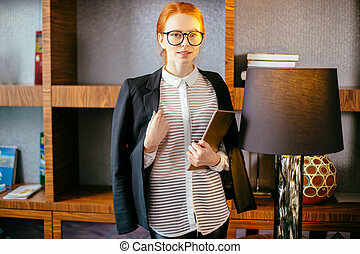 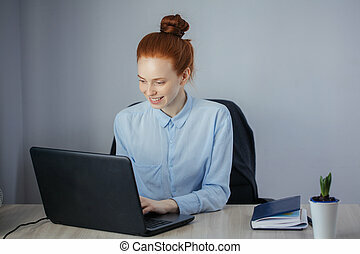 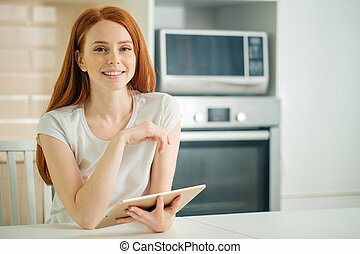 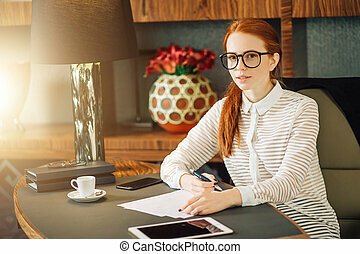 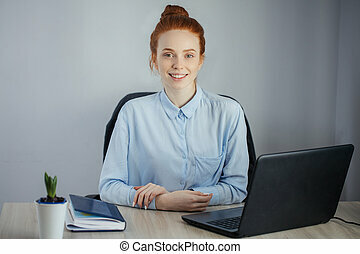 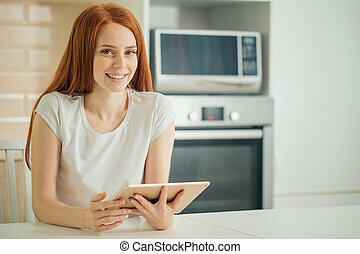 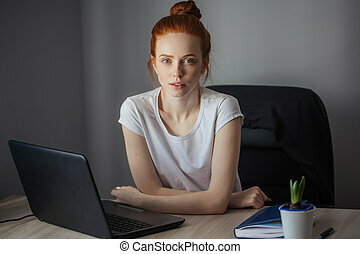 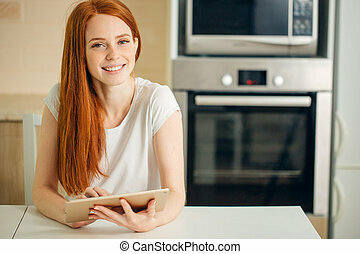 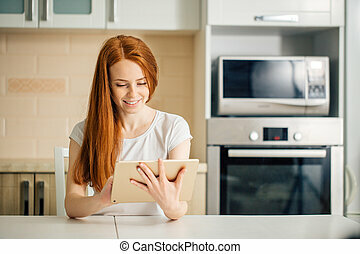 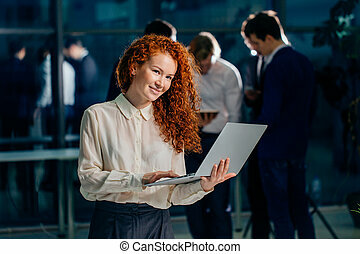 Beautiful redhead young woman holding digital tablet and looking at camera with smile. 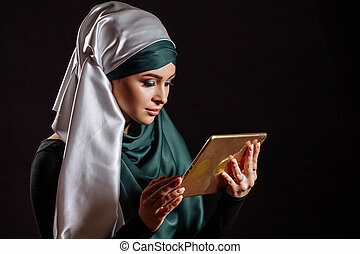 closeup portrait of beautiful woman in hijab with tablet in hands. 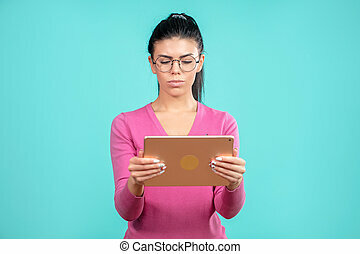 download music, watch video.